Over in Australia there’s a new AEG (Ridgid is known as AEG in Europe & Australia) 18V brushless 1/2″ 3 Speed impact wrench model BIW-0. So far Ridgid has had a brushed 18V single speed 1/2″ impact wrench which features the same design and specs as the Craftsman and Ryobi variants although the Ryobi model sported 3 speeds. 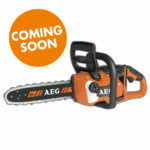 This new AEG model adds a brushless motor and 3 speeds. The brushless motor will no doubt give it the edge in runtime versus the brushed model and 3 speeds helps town down the power for smaller more delicate fasteners. The new model also gets a slight bump in torque to 480 Nm which translates to 354 ft lbs. It’s hard to tell from the picture but it appears to be a bit more compact than the previous model but this could be a trick to make it more compact simply by taking the picture at an angle. 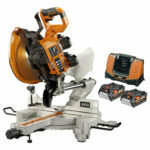 Carry over features from the current model are similar styling, the 3 LED lights on the head of the tool, and Ridgid’s grip light button on the handle that activates the tools led’s when you grip the handle. There’s also a nifty belt clip on the side. 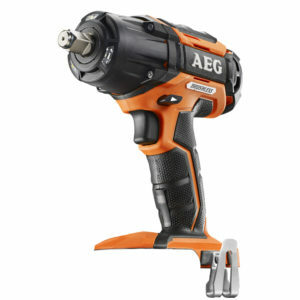 New from AEG, the next generation class-leading Impact Wrench that delivers better performance and enhanced control. This wrench features 480Nm torque and includes our new Auto-Tight mode that automatically stops the tool to prevent overtightening of fasteners. In Auto-Tight mode we limit torque to approx 200Nm for better control and to avoid damage to less robust fasteners. Please note that this tool is currently available in a Kit only. 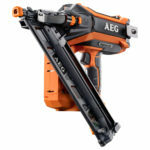 The info I gathered is from the aegpowertools website and that’s pretty much it. They don’t list any other specific stats such as length, weight, RPM, IPM, or individual torque per speed. Only other info they give is that there’s a new Auto-Tight mode that automatically stops the tool to prevent overtightening of fasteners. In Auto-Tight mode we limit torque to approx 200Nm for better control and to avoid damage to less robust fasteners. 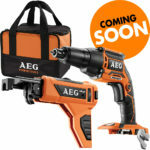 Although this is not an official Ridgid branded tool, there’s a high chance it might make it’s way to North America with Ridgid branding but as always we’ll have to wait and see as there’s nothing official as of yet.